Front Desk - Interview with Author Kelly Yang | YAYOMG! 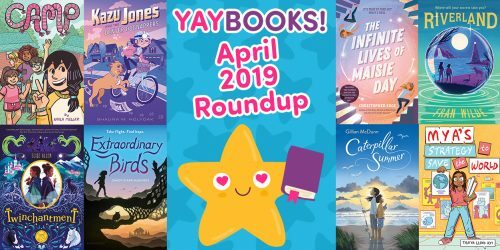 On our journey to always be connecting our YAYOMG!ers with the very best reads, we discovered an exceptional book called Front Desk by author Kelly Yang. 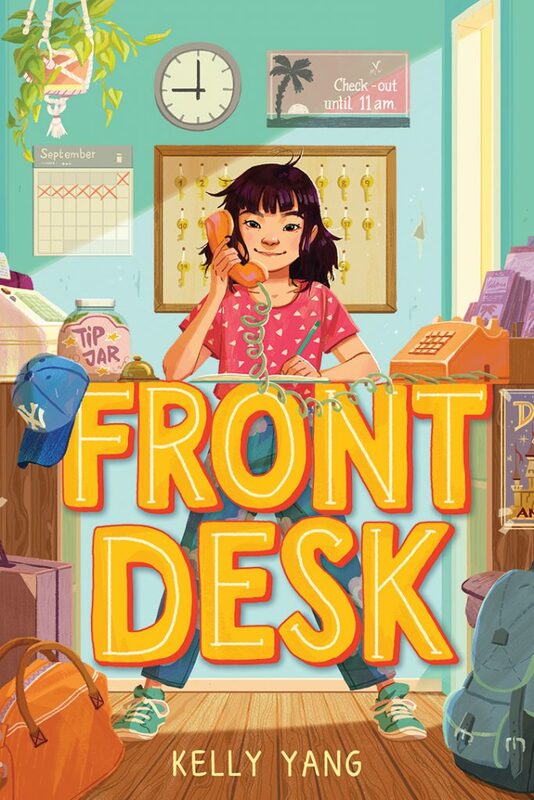 Out May 29th from Arthur A. Levine Books, Front Desk is the heartwarming, authentic, and hopeful story of Mia Tang, a 10-year-old girl who helps manage the front desk at the motel where her family lives and works. Mia faces struggles with bullying at school, unfair conditions at the motel, and a bit of disapproval from her mother who believes that math would be a much more logical dream for Mia than her love of writing. Despite the challenges she faces, Mia is a passionate problem solver who will do anything for her family and the guests she’s grown to care about at the motel. We love how she uses her love of words and writing to fight back against injustice and always stands up for what she believes in. Front Desk shines a light on the reality of what the world was really like for Mia and her Chinese immigrant family and is based loosely on the personal experiences of author Kelly Yang. The adventure, mystery, and Mia’s courageous spirit will have readers turning page after page while also educating them about some of the injustices and hardships that immigrants faced not only in the early 90’s, but today as well. We simply can’t recommend this one enough! 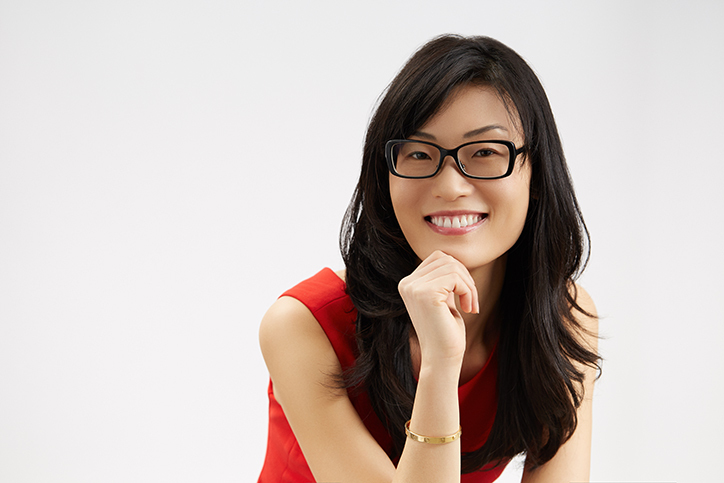 We chatted with author Kelly Yang about transforming her life experiences into a middle-grade book, her passion for writing, and the books she connected with as a young reader. The story of Front Desk is somewhat inspired by your life. Can you tell us a little bit about turning your real-life experiences into Mia’s story? KELLY YANG: I’d been thinking about a way to tell my son about the way I grew up. I had such a crazy childhood, and I’d been thinking and thinking about how to tell him, in a way that didn’t scare him but inspired him. So in the summer of 2015, I sat down to write Front Desk. The first draft was very light and funny but didn’t have the depth that the final version has. It took me three re-writes to be able fully tap into the pain and ache and joy of my childhood. Being based in some of your own experiences, what did you find was the most rewarding part of writing this story? The most challenging? KELLY: The most rewarding and most challenging parts of writing this story were mining my childhood experiences and creating art from them. 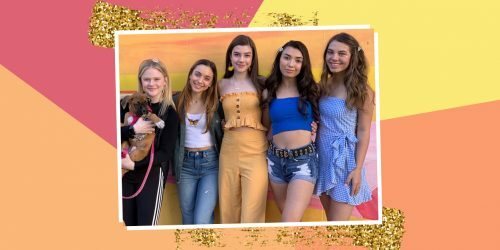 Some of the smaller scenes, of Mia and her pants or Mia’s mom and her shopping bags, were actually the hardest to write because those memories were so painful and I thought I was done with that part of my life. In the end, it was really rewarding because I got to make something meaningful and beautiful out of it. What three words would you use to describe Mia Tang? KELLY: Courageous, intense, and funny. In the book, Mia loves writing, despite being told her skills might be better focused elsewhere. Have you always have a passion for writing? KELLY: Yes, I have always loved writing. It was an outlet for me, a way to process the world around me and the dramatic ups and downs of immigrant life. It still is. I’m happiest when I’m writing! In what ways are you hoping Front Desk will resonate with young readers? KELLY: I hope Front Desk will resonate with young readers. Even though not a lot of people have managed motels, there’s something about Mia’s story that’s very universal, whether it’s the feeling of being the outsider in a new community or of seeing injustice and not understanding why it’s happening…or having something unfair happen to you or your family and trying to figure out how to stand up for yourself. I hope these feelings and experiences resonate with young people everywhere and give children empathy, understanding, and hope! 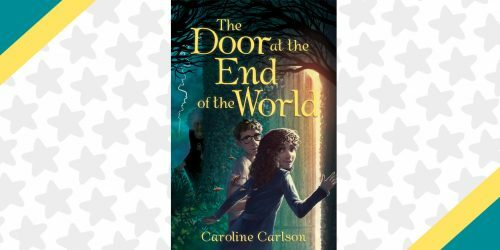 Is there a particular book (or books) you read as a kid that were important to you? KELLY: My favorite books growing up were Matilda and To Kill a Mockingbird. I love the humor of Roald Dahl books, how as a kid you just cannot wait to read the next line. I also love the depth and importance of To Kill a Mockingbird. I’m strongly influenced by both types of books and always try to straddle the serious with the funny. Do you have any other projects in the works you’re able to chat about? KELLY: I’m working on a new middle grade novel and a YA novel! Do you have any words of wisdom you’d like to share with your readers? KELLY: Yes, as Mia’s best friend Lupe wisely says in the book – you can’t win if you don’t play! So keep writing, reading, dreaming and trying! Want to know more about the author and book? You can catch Kelly Yang on her book tour! 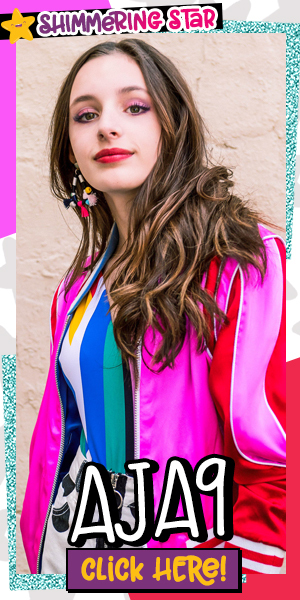 She’ll be at Books of Wonder in NYC on May 29th, Children’s Book World in Santa Monica on June 9th, and at Folio Books in San Fransisco on June 15th! If you’re looking for more reads with fantastic female heroes to inspire you, we think you’ll love Evangeline of the Bayou by Jan Eldredge!